The 'Blood Is Blood' shirts will be sold exclusively at The Phluid Project as a fundraiser for Callen-Lorde. Here’s a shirt you likely weren’t expecting to see as an agency’s celebration of LGBTQ Pride Month. 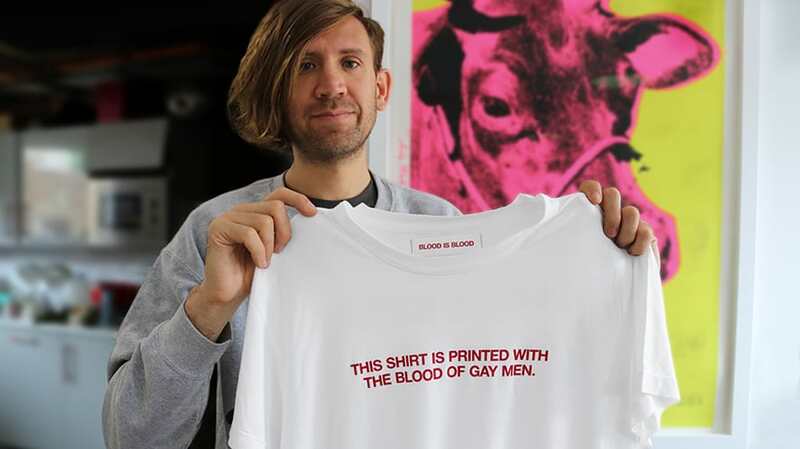 Mother’s New York office has created a T-shirt designed with ink that includes the blood of its gay male employees from NYC and its sister office in London. 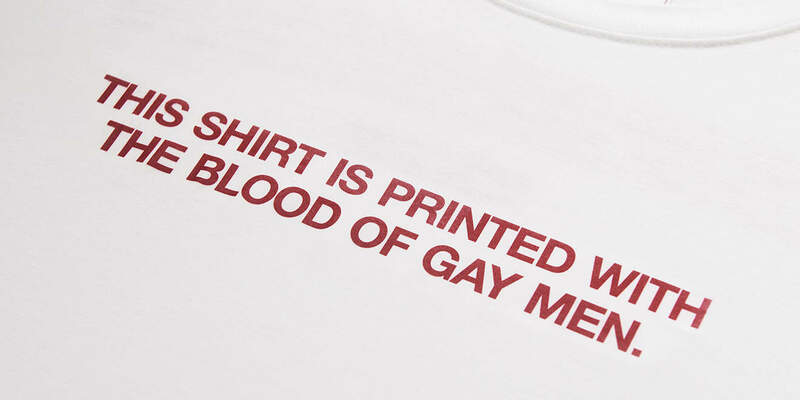 The copy on the front of the shirt, “This Shirt Is Printed With the Blood of Gay Men,” is arresting, to say the least. On the back, longer copy explains the policy change the shirt is intended to help bring about. In addition to Pride Month, the shirt’s debut is being timed to coincide with World Blood Donor Day on Thursday. 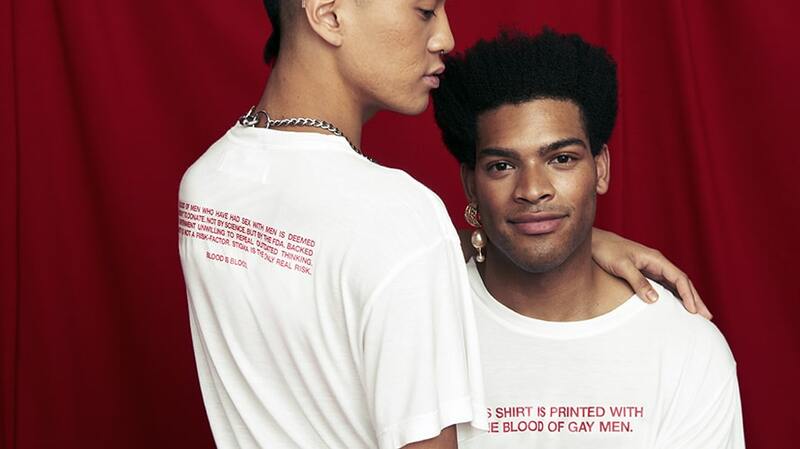 The shirts will only be sold at gender-neutral retailer The Phluid Project, with proceeds going to Callen-Lorde Community Health Center, a longtime LGBTQ service provider. Sales will begin Thursday. 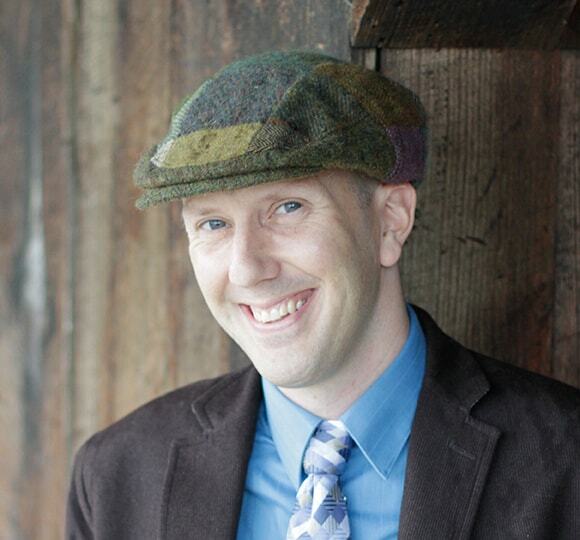 Dr. Peter Meacher​, chief medical officer at Callen-Lorde, says the shirt helps tackle an irrational restriction against gay men that is denying life-saving blood donations to thousands. The ink for the shirt was created by British artist Stuart Semple​, known for creating provocative colors. 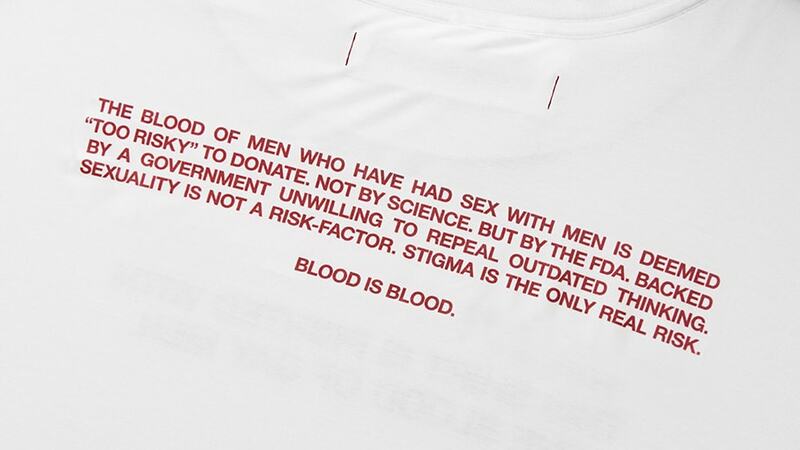 Semple used the blood donations from Mother employees to create a custom screen-printing ink, which was then used in the minimalist shirt design. The project was one with a great deal of personal resonance for the employees who provided their own blood for the ink.